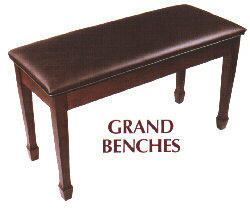 FAQ: "Are the bottoms of these benches stapled, screwed, or routed?" "Anyone found with a staple in their hand at our shop will be fired." All Jansen bench bottoms are routed. routed into the box, NOT stapled. 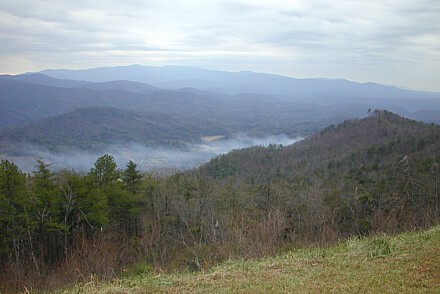 edged top. Much attention is given to detail. 14" x 29" and 20 inches high. 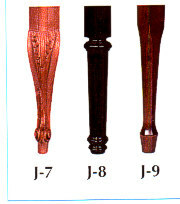 Finishes: Ebony, Walnut, Mahogany, or Unfinished. Specify Brown or Black padded top. Do not despair. For an additional $50 the Jansens will make longer or shorter legs. 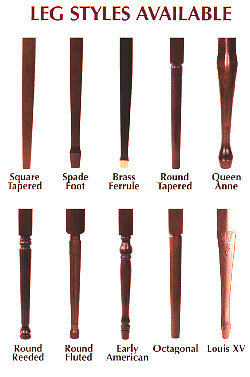 (Brass ferrule, Spade Foot and Square Tapered legs only.) Here is how to determine how high the bench should be for you. Find a chair that is close to a comfortable height for you. Add phone books or coffee table books to the chair until you like the height. The ideal is for your wrists and arms to be level with the keys when playing. But, beware of getting the seat so high that you have to struggle to reach the pedals. Measure the height of this high tech contraption at the seat to determine how much to add to, or shorten, the bench you want. How is that for advanced improvisation? Do you have a big family of kids playing the piano? 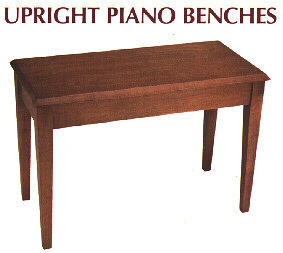 This is the ideal Piano Bench for you. Notice the triple braced legs! Why is this important? Well, let's suppose you have only three people in your family playing the piano. Every day, each player sits up to the piano to play for a while. That is a drag out, then pull in to the piano twice for every playing, right? That is four trips for the piano bench to be drawn across the carpet. May I suggest that this is quite a drag for your piano bench? 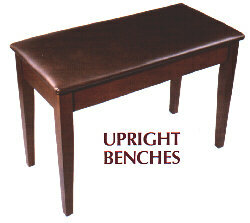 Of course, the main feature of this bench is that it is the only conventional bench made for playing duets. Churches and Schools will want to consider this feature. 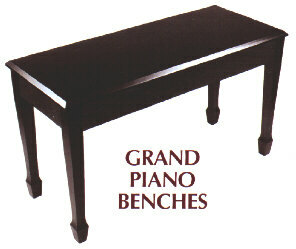 YOU are a great candidate to consider investing in one of these sturdy giants of the piano bench trade. 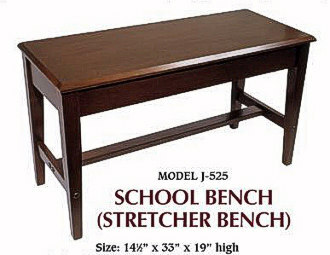 Jansen's School Bench features a large music compartment also. 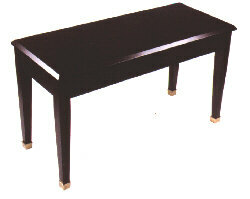 There may be other makes of this style bench which are cheaper, but the quality is not there. We carry only this one. 14 1/2" by 33" by 19" high. These legs apply where they are listed as options on benches on this page. The numbers used in this chart do not apply to the Part Numbers of the above benches. 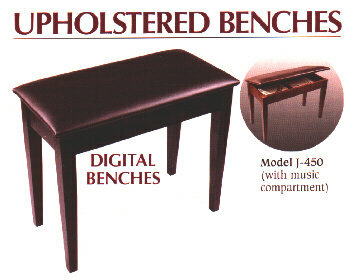 Order ONLY with the Part Number of the bench in the above illustrations. 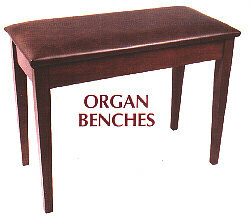 Available only for benches on this page. 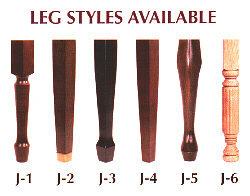 Special wood color choices would also be considered.